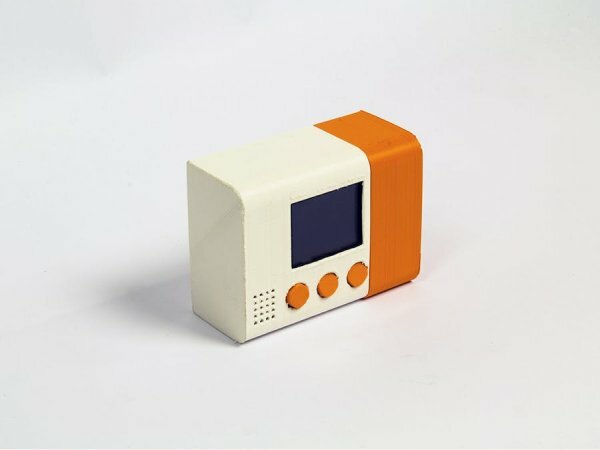 The idea of a single chip radio is intriguing. The prospect is especially interesting to me because, frankly, I envy the analog skills I associate with building a radio receiver. When I browsed the circuit literature in the area, I came across the Silicon Labs collection. One of their chips, the Si4844-A10 caught my attention. 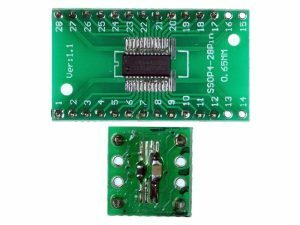 This receiver has AM/FM/SW capability with all the bells and whistles and it is designed to work with a microprocessor. Best of all, the support components required are mainly associated with the microprocessor display and control functions with only a small amount of antenna support needed. I couldn’t resist taking the plunge. Figure 1 presents the basic circuit for the receiver and the schematic is adapted from the Silicon Labs Si4844 datasheet and application notes. I used a reclaimed ferrite loop from a discarded portable AM/FM radio as the required AM antenna. I think that a higher quality and larger ferrite would be an improvement. Q1 is the amplifier for the SW/AM and I also used a reclaimed telescopic antenna in that section. It is notable that the design guide, linked above, gives several alternatives and different approaches for the antenna components. The variable resistor (VR1) is a critical component since this will be used to adjust the receiver frequency – the tuning knob. It is recommended that a good quality linear potentiometer be used. For the audio out, I chose to use a set of “economical” amplified speakers that I had from a retired desktop PC. Certainly, a simple stereo amplifier could also be used. Everything on the board is 3.3v and all GNDs are connected. The most difficult part of the construction is probably working with the chip’s SSOP-24 form factor. 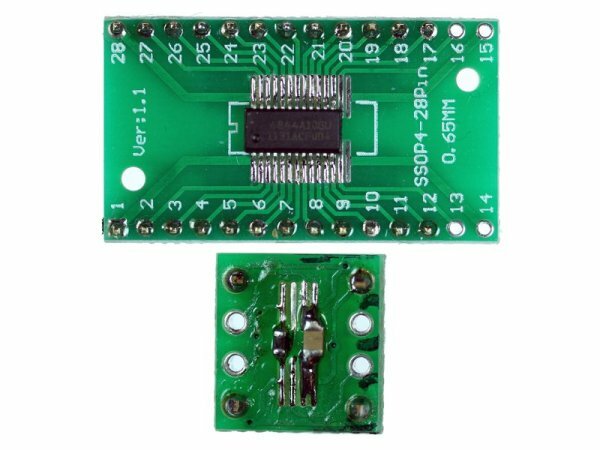 If you don’t have the experience and equipment to use SMT ICs, the use of a carrier board may be the easiest way to accomplish the task. I had an SSOP-28 carrier board and with a fine point soldering tip and a lot of patience (and some solder braid to undo bridges); I was able to mount the chip so that it could be accessed as a DIL package. The other potentially difficult components to work with are the couple of surface mount ferrite beads and capacitors. These components can also be hand soldered onto a carrier board and treated like a DIL package.